Ayana Opong-Nyantekyi was one of 14 student-athletes from William Penn Charter School in Philadelphia who committed to play a sport in college on Feb. 6. Cherry Hill resident Ayana Opong-Nyantekyi was one of 14 student-athletes from William Penn Charter School in Philadelphia who committed to play a sport in college on Feb. 6. At a ceremony honoring the athletes and their families, the students marked their plans to continue their athletic careers beyond the Penn Charter playing fields. 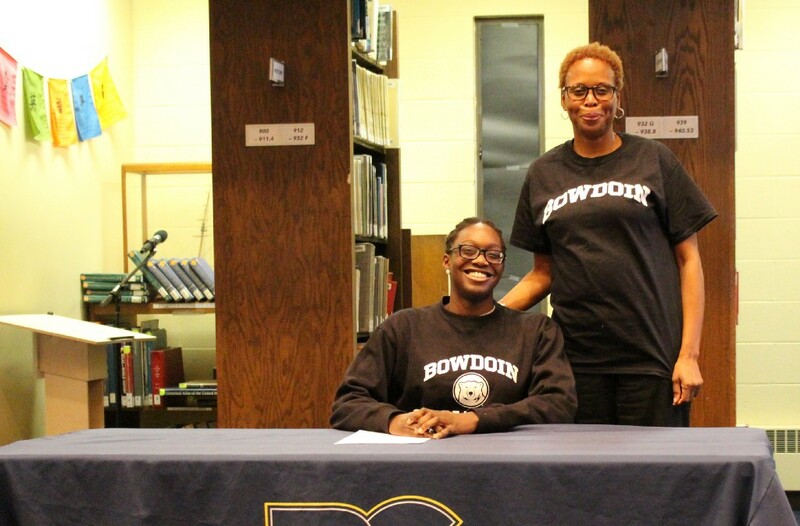 Opong-Nyantekyi committed to swim at Bowdoin College. Her mother, Yolanda McClain, joined her for the special event. Editor’s Note: If your child signed a National Letter of Intent to play sports in college, email news@cherryhillsun.com to see their photo appear in the publication.